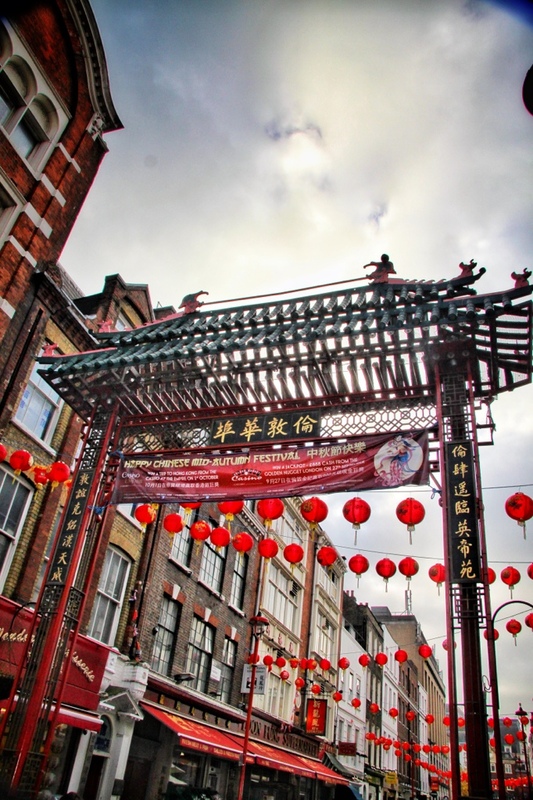 Today, I spent a little while exploring the Chinatown area around my lunchtime. It's a delightful area, nestled in a small selection of side streets near SoHo. 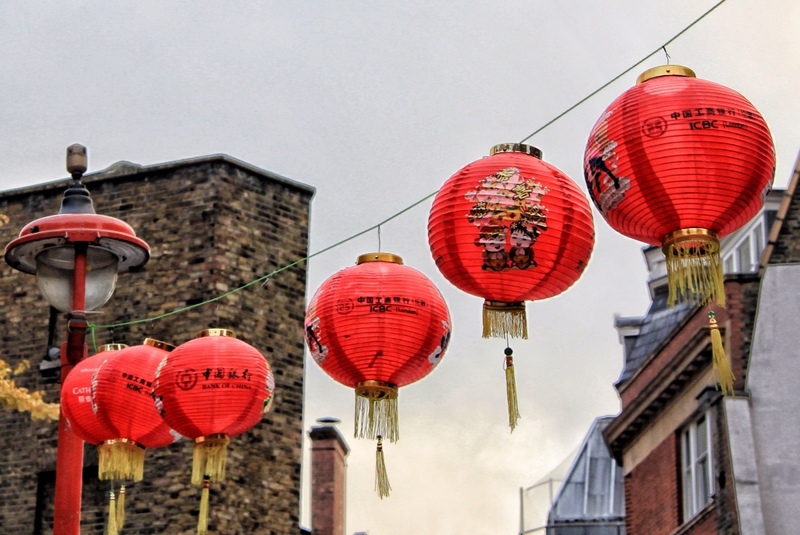 As soon as one turns off the main road, the signs switch to Chinese and English, paper lanterns crisscross the street, and an array of colors, sounds, and delicious smells explodes into the streets. 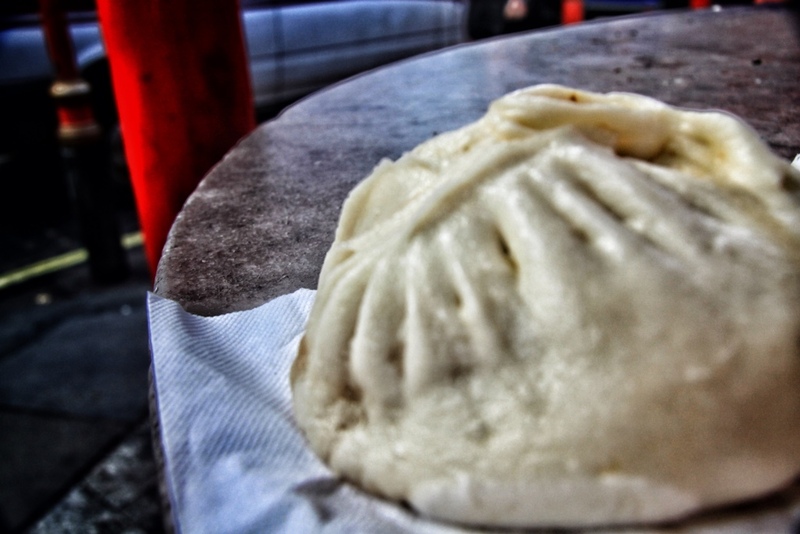 After a brief time meandering around the streets, I decided to snag myself a steam bun from a small, busy shop with delectable scents wafting from within. I chose the house special of chicken and Chinese vegetables, and it was absolutely glorious. I bit off a corner to let the steam within billow out. Inside was some amazing, deeply flavorful chicken and vegetables, which contrasted brilliantly with the starchy sweetness of the steamed bun surrounding it. 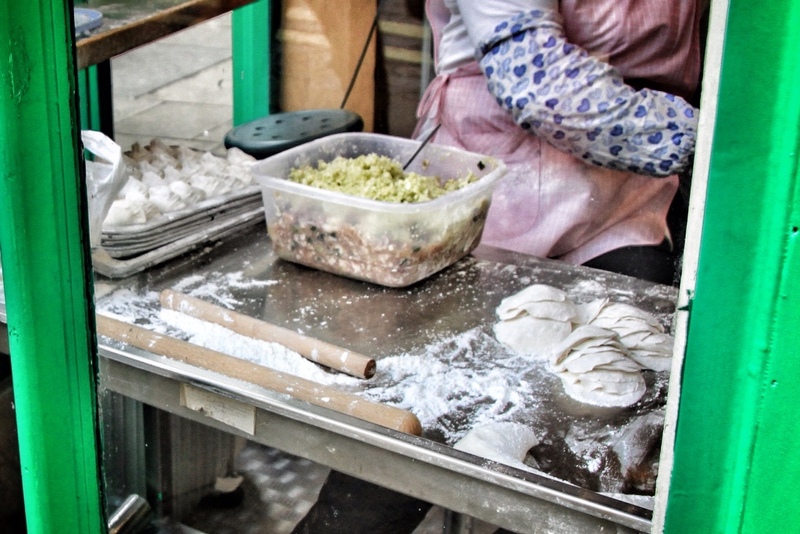 Next, I was craving some dumplings, so I walked around until I saw a small restaurant making them in the window. They looked incredible, and with a London Times article posted near the front door proclaiming its greatness, I decided it was a solid choice. I went with Beijing Chicken dumplings. They were scrumptious! It was such fun to nibble off a corner of one, let out some steam, dip it in soy sauce, and then chow down on it. Finally, I explored a few grocery stores to pick up some ingredients that I had trouble finding elsewhere. At the top of my list? Sriracha, the classic red hot sauce with a green lid, and one of my favorite foods in the world! Luckily, I found some at a decent price. I also snagged some rice noodles, which formed the base of the massive, vegetable-filled stir fry I made for my flat tonight. After my Chinatown adventures, I made my way to the teaching site, did some reading, then headed off to the gym for a nice, long workout. (Bonus! Today, I got to swim counterclockwise – American-style – for a little bit of my warmdown. It felt awesome.) Post-gym, I grabbed some vegetables from the grocery, and made some stirfry when I got home. As they say in India, “Chung Wah!” What a fun day! The stir-fry sounds delicious!